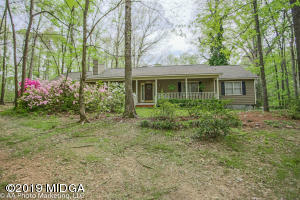 FOUR BEDROOM RANCH STYLE HOME w/EASY COMMUTE TO RAFB & DOWNTOWN MACON. 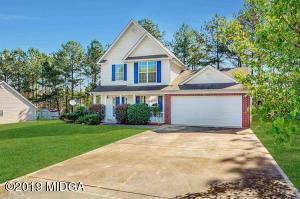 Home features an Open floorplan, Dining Room, Breakfast Area & Bar Seating. Laminate & Tile Flooring throughout. Refrigerator Remains. Master Bath has Jetted Tub, Dual Vanities and Separate Shower. Large fenced backyard w/ covered patio. Walk in Closets in three bedrooms. Check it out before it’s gone. CUTE AS CAN BE!! This is a really GOOD ONE!! 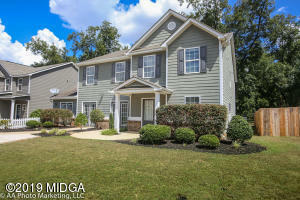 Situated in a cul de sac, this 3/2 with split floor plan has gorgeous new flooring, great light and spacious living areas. Enjoy the covered back patio or enjoy the fireplace in the living room. Everything you need is here! Call TODAY!